Tax season is upon us – however, following the strenuous process of doing your taxes, there comes a light at the end of the tunnel: a refund (…hopefully)! While it may be difficult at first to determine where your refund is best spent, most residents driving nearly decade-old cars likely have one expense they typically put off until they receive a larger sum of discretionary spending: buying a new car. 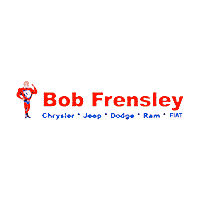 Whether buying new or used, Bob Frensley Chrysler Jeep Dodge Ram Fiat’s selection of affordable models accommodates any driver looking to utilize their tax return to purchase a car, truck or SUV. With a variety of new and used models to select from, including an array of makes and models in addition to the various models offer by Jeep, Chrysler, Dodge and Ram, drivers throughout our service area receive the extensive and comprehensively curated selection they seek when shopping for their next vehicles. Whether you’re an off-road enthusiast looking for a used Jeep Wrangler, or a performance enthusiast shopping for an affordable Dodge Challenger, our pre-owned inventory likely holds an affordable option for you! Having completed the stressful process of doing and submitting your taxes, it’s time to unwind and use your refund on something worthwhile: a new car, truck or SUV. With numerous meticulously maintained pre-owned models available to choose from, Bob Frensley Chrysler Jeep Dodge Ram Fiat’s used vehicle inventory ensures all aspiring owners leave our dealership wholly satisfied in their next purchase. Stop by our dealership today to browse our extensive selection, or give us a call to schedule a test drive!